Flex-A-Seal started off mainly as a welded metal bellows mechanical seal manufacturer in 1983 in Ormond Beach, Florida with only a small distributor base in the United States. Now Flex-A-Seal has two Manufacturing facilities worldwide, one in Essex Junction, Vermont and another in Sao Paulo, Brazil, in addition to their many distributors dispersed between over 30 countries. Flex-A-Seal is an innovative leader of industry’s technological advances. Each facility has state-of-the art bellows welding capabilities, CNC machining centers, quality control standards, and extensive inventory systems. Flex-A-Seal cannot only repair and refurbish their seals, but also repair and refurbish competitor’s seals. With their wide ranging distributor and agent network, Flex-A-Seal can provide consultations and assistance both domestically and internationally. Because of that network and the suburb manufacturing facilities, quick delivery, high quality, informative product training, excellent customer service, and expert engineering support are always present and available. Flex-A-Seal will work with you to provide the best seal for your application. Flex-A-Seal offers a wide range of products and services including many different mechanical seal types, replacement seals, repair and replace service, packing, sealing accessories, non-metallic products, and specialty welded metal bellows. Whatever what your mechanical sealing needs are Flex-A-Seal can provide a solution for you. 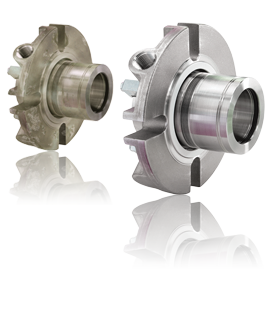 Flex-A-Seal offers Style 85 and Style 85M split cartridge mechanical seals. These split seals are unique in the fact that they only require two pieces to be handled for installation. The sealing faces are safely secured in the cartridge halves and cannot be cocked, chipped, or scarred. Every split cartridge mechanical seal is completely assembled and pressure tested before it is shipped. 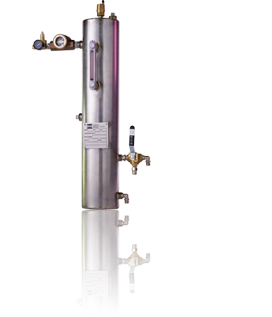 The split cartridge reduces downtime and makes installation and repair quick and easy. The 85M features the same great qualities as style 85 but with heavy duty capabilities. Stationary face options are carbon or silicon carbide. Elastomer options are the standard Viton, Aflas, or Fluraz. Construction is stainless steel. Flex-A-Seal single cartridge seals come in a variety of stationary and rotating configurations with various gland types such as, welded metal bellows, single spring, and multi-spring types. The single cartridge seals are a single piece, pre-assembled and preset by the manufacturer prior to installation. With the many different options, there is a Flex-A-Seal Single Cartridge Seal available for your high temperature, corrosive, and heavy duty application. Elastomers include Viton®, Ethylene Propylene, Aflas®, Buna, Neoprene, and Perfluorelastomers. Faces come in Premium Grade Antimony Impregnated Carbon, Nickel Bound Tungsten Carbide, and Silicon Carbide. Single Cartridge models come in the following variations; RB1, SMS1, SS1, SB1, RS1, 57, 63 & 66, PHB & PHS, 58, 53A, CFS & ECON, and RBX-AQ. Flex-A-Seal offers the 73P/75P, 78/76, and 79 dual cartridge seals that have a pressurize barrier fluid or a non-pressurized buffer fluid to prevent process fluid from leaking into the environment. 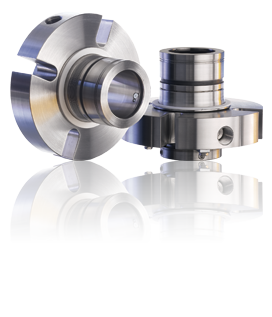 The dual cartridge seals come in both stationary multi-spring and rotating welded metal bellows configurations. All cartridge seal designs are hydraulically balanced and the shrouded face provides additional protection. The 79 model uses a heavy duty multi-spring tandem cartridge that keeps the product and barrier fluid on the outer diameter to increase safety and heat dissipation, while maximizing the flow of the barrier fluid. 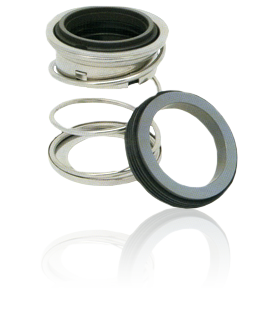 Flex-A-Seal offers Style 40/42/45 and Style 60/61/62/64 welded metal bellows seals. These welded metal bellows seals are world-renowned for their engineering design. 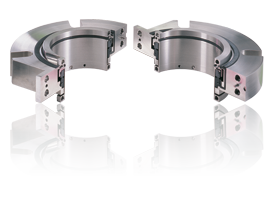 These seals can be used in many applications including cryogenic, standard, and high temperatures and vacuums. To meet the requirements of these applications, the welded metal bellows can be made with Inconel 718 treated AM350 and Hastelloy-C. All welded metal bellows seals are hydraulically balanced, eliminate seal hang up and shaft fretting, and are self-cleaning. Flex-A-Seal provides replacement seals for a full array of compressors, mixers, pumps and other miscellaneous rotating equipment. Direct replacements for John Crane©, Burgmann©, Pac Seal, U.S. Seal©, Flygt Seal© & Davis Emu are just some examples of seals that are offered on a daily basis. Offerings include all materials and anything from a Type 1 to a Type 8-1. Flex-A-Seal’s repair facility is one-of-a kind. They have made a commitment to repair all mechanical seal styles regardless of manufacturer to like-new condition. If the seal is not repairable, they will quote a new Flex-A-Seal as a replacement or offer a range of exchange programs to suit the customer’s needs. They have designed the Flex-A-Seal repair facility to combine state-of-the-art engineering and manufacturing capabilities. Each seal component is decontaminated and evaluated in detail: faces, secondary seals and bellows testing, metallurgical examination, drive mechanism testing, digital load testing, and critical dimensions evaluation. 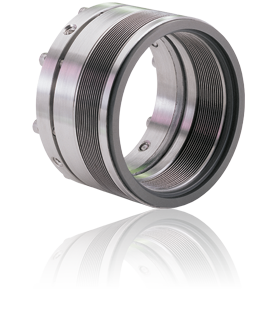 Along with standard mechanical seals, Flex-A-Seal also offers custom engineered seals, slurry seals and mixer/agitator seals. The Flex-A-Seal Heavy Duty Slurry Seal (FHDS) stationary multi-spring single/double cartridge seal designs for the industry’s most challenging slurry applications. The unique design offers increased seal reliability, flush less operation, lower operating costs and a two piece design when exotic metallurgies are required. 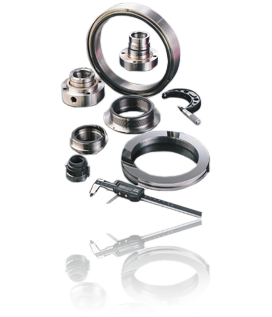 There are also seals for mixers and agitator that are offered for top entry, bottom entry and side entry mixers. All mixer applications are unique and Flex-A-Seal can custom design a seal to fit any application. 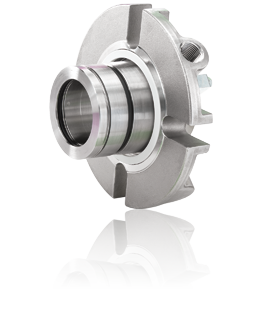 Liquid lubricated dual mechanical seals require an external source of clean, cool lubricating fluid. By using a dual seal with an seal support system, it will provide an enhanced sealing environment which promotes longer seal life. Flex-A-Seal offers the ANSI Lite barrier Fluid Reservoir, they have standard offerings for Plan 52, Plan 53 and Plan 54 flush designs. They can also create a custom seal support system to meet the needs of any application.